All our tracks are very wide: from 9 to 16 metres. You can overtake competitors when you want! This track is reserved for adults activities. 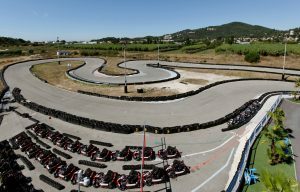 A great karting track to enjoy the driving pleasure. This track consists in two parts: 700 metres and 400 metres. A long turn to have thrills!